Acupuncture is an ancient technique that promotes your body's natural healing process through the placement of thin, sterile needles into precise acupuncture points. A patient's signs and symptoms determine which points to use. Acupuncture is a safe and effective treatment. Clinical research continues to prove it's validity and fuel it's growth and acceptance. Acupuncture has none of the toxic side effects associated with pharmaceutical medications. 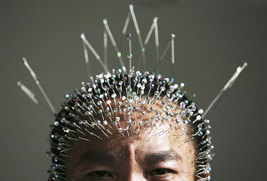 Acupuncture needles are slender and fine. The acupuncturists at Nei Chi Acupuncture in Eugene,Oregon are trained to precisely place the needles into acupuncture points in a way that doesn't cause pain. Patients generally find our acupuncture treatments to be relaxing and rejuvenating. All needles used at our Eugene facility are sterile and single use only. Acupuncture reduces pain and helps the body restore homeostasis. Our bodies are equipped with innate feedback loops. These feedback loops maintain communication between the body, the brain, and the glands and organs that regulate all bodily functions. They regulate everything from hormone levels and blood circulation to digestive processes and pain signaling. Sometimes our bodies become so imbalanced that these feedback loops fail to work. Acupuncture assists in "reminding" the body what the normal balance is so that it can function correctly again. This re-calibration of the body is vital in the recovery from chronic pain, digestive disorders and hormonal imbalance. Acupuncture is known to increase endorphins, the body's natural painkillers, and increase blood circulation. This, in turn, helps injured tissues and organs heal and remain pain free. The classical Chinese explanation is that channels of energy course through the body. These channels, also called meridians, are like rivers, bringing nourishment to muscles, tissues and organs. An obstruction in these energy channels resembles a dam that backs up and starves the tissues downstream. Injury and trauma are common causes of channel obstruction, but emotional imbalance, poor diet, inactivity, lack of rest and chronic disease can also impair channel circulation as well. Acupuncture directly influences these meridians. 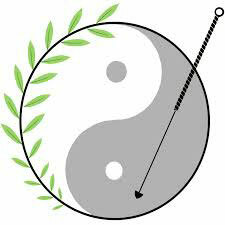 The precisely placed acupuncture needles unblock the obstructions and reestablish flow through the meridians. This allows the body to receive the nourishment it needs to recover from illness and regain vitality. Chinese medicine is a holistic system of healing that is over a thousand years old and has been supported by an increasing amount of scientific research. The treatments address the underlying condition as well as the presenting symptoms. The acupuncture treatments we offer are gentle and pain-free. Clients describe the treatments as profoundly relaxing. If you are interested in receiving Chinese herbs or food supplements, we will include those aspects into the treatment plan. Chinese Medicine is a large branch of medicine consisting of Acupuncture, Chinese Herbal Medicine, Nutrition, Lifestyle, and massage. Its rich history dates back more than 2000 years. Chinese Medical practitioners are trained to view the body, mind, and spirit as one system that makes up the WHOLE person. The system is seen with each body part or organ having connection and effect on the other aspects of the whole. 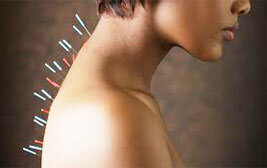 Acupuncture and Chinese herbal medicine can treat a wide variety of health issues. The most common reasons people choose Chinese medicine are: pain, stress, injury, insomnia, digestive complaints, female health, fertility, and preventative health. Qi (pronounced chee) is the energy force that flows through the entire body. It circulates fluids, blood, and energy giving us the ability to think, move, feel, and work. 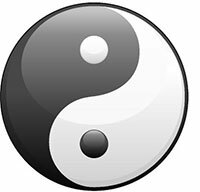 When the flow of qi becomes unbalanced or blocked, illness and pain may result. Acupuncture works with the same points and pathways in which the Qi circulates, helping to promote a healthy balanced flow of this life energy. During an acupuncture session several thin, sterile, disposable needles are inserted into the body (commonly along the hands, feet, arms. legs, abdomen and back). The needles are retained in place for 20-30 minutes while you lay quietly and calmly and listen to relaxing music. There is a feeling of deep release and relaxation while the needles remain in the body and often for several hours and possibly days following the session. Most people find it very comfortable and peaceful with an effect of overall calm,peacefulness, and stress reduction. Chinese herbal remedies are used for the same reasons and purposes as acupuncture. At Nei Chi Healing Center Nathan will prescribe herbs separately or in conjunction with Acupuncture for certain conditions as needed. The herbs will be in pill form, or in a powder that will be added to hot water to make a tea. 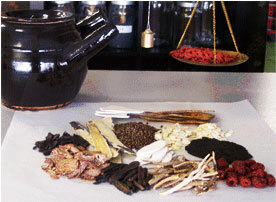 Chinese Herbal Medicine (CHM) is a system of herbology originating over four thousand years ago. A Chinese medical text dated to 168 B.C. entitled Prescriptions for fifty two ailments, named over 250 medicinal substances. However, the foundation for today's Chinese Materia Medica is the Divine Husbandman's Herbal Foundation Canon. This book's authorship is unknown and was compiled mostly in the Eastern Han dynasty (25 – 220 AD). It contains 365 substances; 252 botanical substances, 67 animal substances, and 46 mineral substances. Evolving over the years, Chinese medicine has named and categorized over 6000 medicinal substances. "Same disease, different treatment; Same treatment, different disease." An herbal prescription is formulated based on an individual's current existing pattern(s). This pattern(s) of disharmony is identified based upon the chief complaint and all associated symptoms and signs. Typically, an herbal formula consists of 2 or more substances combined to correct a pattern of disharmony. The formula is composed in hierarchy form by classifying the substances as sovereign, minister, assistant, or courier. The sovereign medicinal substance performs the main function of the formula. The minister aids the sovereign in treating the main pattern or causing an effect on a coexisting pattern. The assistant herbs reinforce the functions of the sovereign and minister, as well as moderating the harsh properties of these herbs. The courier serves as a guide to focus the actions of the formula on a specific organ system, channel, or area of the body or to harmonize all the ingredients in the formula. Side effects are rare except for an occasional unpleasant taste. In many cases, the patient will experience a need for the taste and appreciate its medicinal value. CHM is a complete system treating all internal disease, musculo-skeletal disorders, and mental disorders whether they are acute or chronic/long term. Acupuncture is not a painful process; very fine, thin, solid, stainless steel, needles are inserted at specific Acupuncture points. These points are not located on nerve pathways or in blood vessels, so very little sensation is felt upon insertion. After the needle has been inserted, patients often report feelings of heaviness, tingling, mild numbness, or a sense of movement along the channels in the area. These sensations are perfectly normal, and are not considered painful in any way. If you still have concerns please speak to us about the process, we will be more than willing to help alleviate your fears or concerns.